Did you know that our government has placed a once known biochemical warfare agent into our food chain (Thomas 36)? This highly controversial food additive is known as Aspartame and is sold in thousands of different types and brands of foods marketed as diet friendly and even healthy. Are these Aspartame foods healthier and better for our health? Many people believe that Aspartame is causing major health problems around the world. Who do we believe and how do we know which side is telling us the truth? After reading this article, people should be more aware of both sides of Aspartame and be able to make a more educated decision about whether or not to consume it. As consumers, we should all know more about how food additives are approved by the FDA. So just how does something get FDA approval? "A food or color additive petition must provide convincing evidence that the proposed additive performs as it is intended. Animal studies using large doses of the additive for long periods are often necessary to show that the substance would not cause harmful effects at expected levels of human consumption" (Unknown par. 22). The makers of Aspartame did follow the testing of animals, "Autumn 1967 - G.D. Searle & Company approaches eminet biochemist Dr. Harry Waisman, director of the University of Wisconsin's Joseph P Kennedy Jr. Memorial Laboratory of Mental Retardation Research and a respected expert in the toxicity of phenylalanine (which comprises 50 percent of the Aspartame formula), to conduct a study of the effects of Aspartame on primates. Of seven monkeys fed Aspartame mixed with milk, one dies and five other have grand mal epileptic seizures" (Thomas 37). Usually after animal testing is done and no harmful effects are noted, the next step is to move to human safety testing. A professor of neuropathology and psychiatry, Dr. John Olney decided to run his own animal test using mice in the spring of 1971 and results showed that Aspartic acid, one of the main chemicals that make up Aspartame, caused infant mice to have holes in their brains (Thomas 37). With the two animal tests done and both looking very negative for the approval of Aspartame, but GD Searle still tried to apply for approval, “February 1973 – Searle applies for FDA approval and submits over 100 studies it claims support Aspartame’s safety. Neither the dead monkeys nor the mice with holes in their brains are included in the submission” (Thomas 37). If the FDA had nothing to hide why did they leave both the monkey and mice tests out of their original approval petition? The up side of Aspartame is it has no calories and is able to help people with diabetes, weight loss and heart health. Many people say that without Aspartame they would not be able to drink soda, eat candy or even bake their favorite treats. This no calorie sweetener has helped thousands of people gain their health back. Many doctors are encouraging their patients to try these no calorie sweeteners in efforts to drop weight, keep blood sugar levels balanced and blood pressure numbers down. In today’s health crisis of more and more people and children becoming obese, Aspartame might even become more widely used. Is this a good thing, to have more and more people give up their table sugar calories and use one of the most controversial food additives ever to hit the shelves? There are truly two sides of the Aspartame controversy, one coming from the FDA saying, “There is no scientific evidence from carefully controlled clinical studies that Aspartame causes adverse reactions in people (Unknown par. 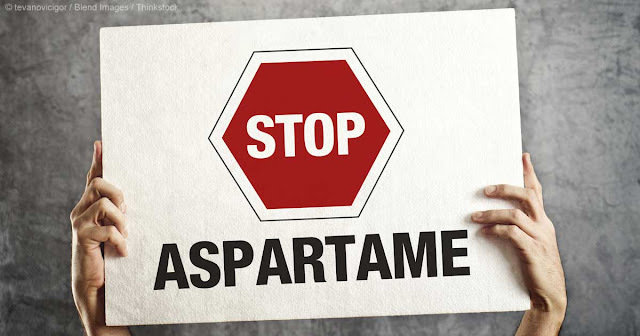 32) and the other side coming from concerned consumers stating, “…Aspartame can produce a range of disturbing adverse effects in humans, including headaches, memory loss, mood swings, seizures, multiple sclerosis and Parkinson’s-like symptoms, tumors and even death” (Thomas 36). Sounds pretty frightening but could it all be true and will we later find out that Aspartame is as poisonous as many people think it is? We should be looking for a healthier low or non-caloric sweetener in nature instead of in a chemistry lab for something man made using toxic chemicals. Many other countries have already found and use a natural sweetener, “For nearly 20 years, Japanese consumers by the millions have used extracts of the same plant as a safe, natural, non-caloric sweetener. The plant is Stevia, formally known as Stevia rebaudiana, and today it is under wholesale attack by the U.S. Food and Drug Administration” (McCaleb par.1). Nature does offer us a healthy, all natural, non-caloric sweetener that has no harsh side effects but the FDA will not pass Stevia as a sweetener. Why do you think they won’t pass it and how will you decide to sweeten your coffee tomorrow morning?